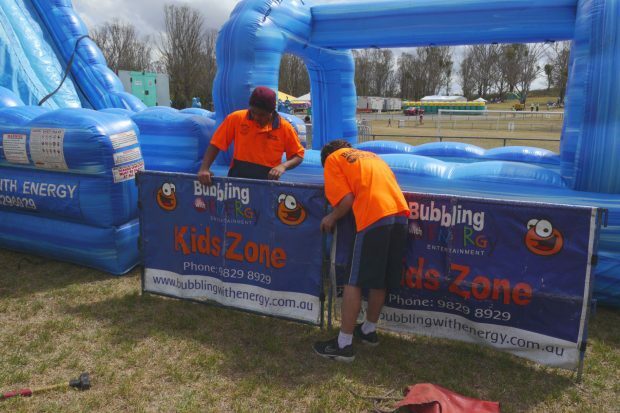 Schools, private functions, corporate events, backyards. 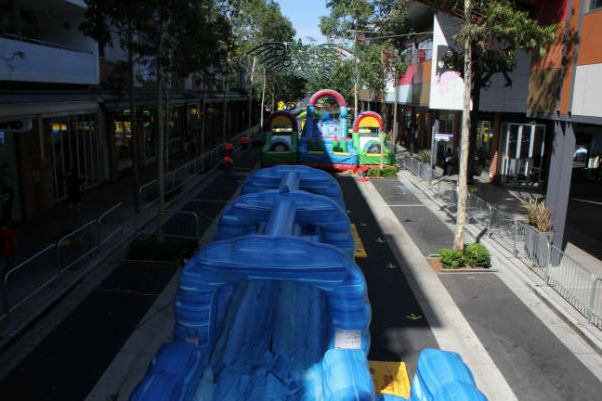 The Screamer Water Slide is one of the favoured waterslides in the Sydney market. 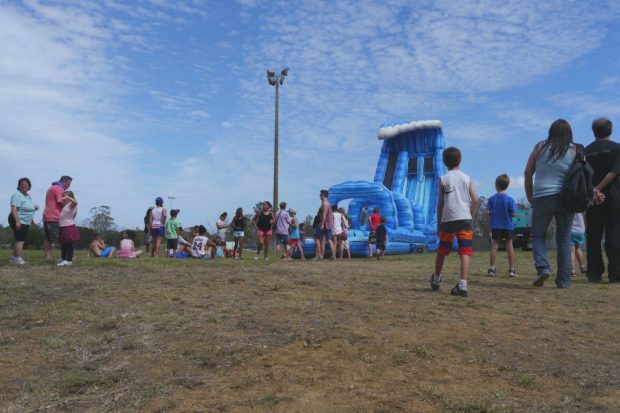 Standing at 9 metres high and 20 metres long (6.5M wide), you will be standing in awe at this incredible inflatable. 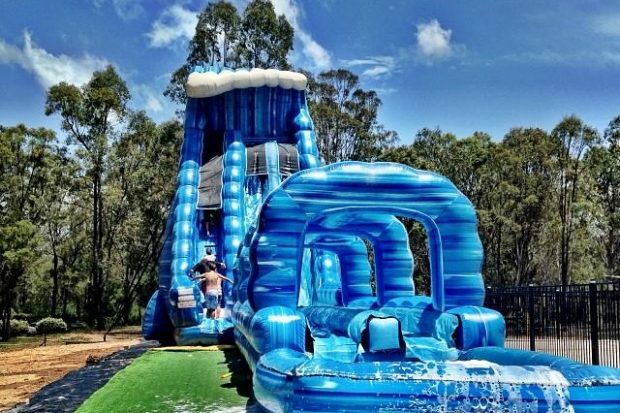 It has an incredible sliding angle and height; it’s no wonder this water slide is the king. 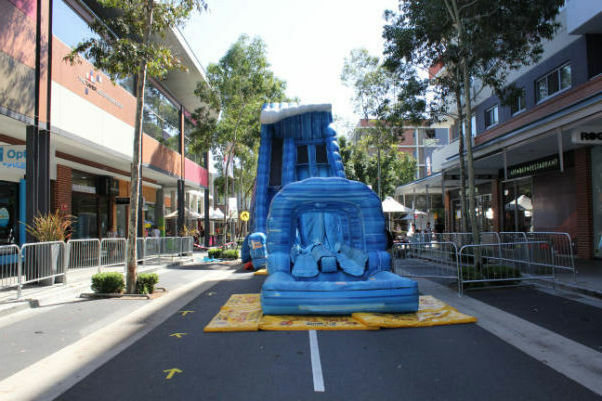 This is the perfect water slide for kids above the age of 5 and adults. Because this slide is so popular, be sure to book early so you won’t be disappointed! 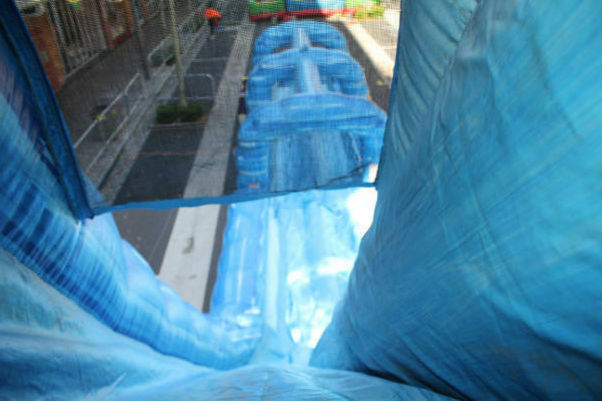 For supervised hires, our friendly staff sends participants up the ladder separately before they race down each side. 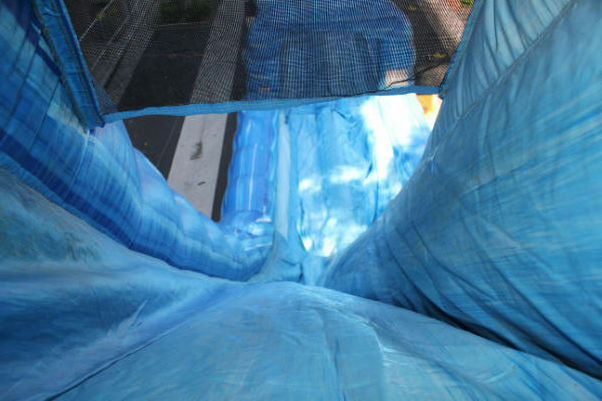 They end their journey into a cool, shallow (40 cm) pool. 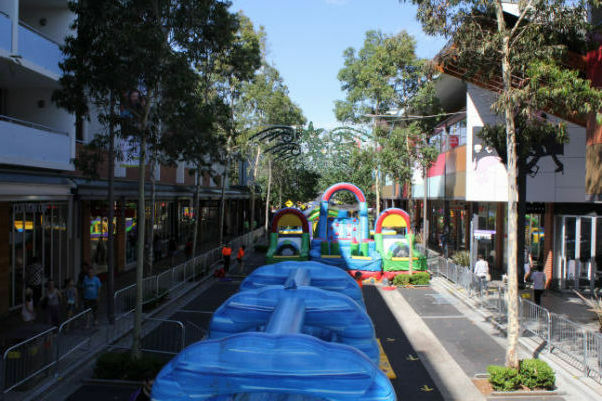 There are two thrilling lanes, making it a real crowd mover. 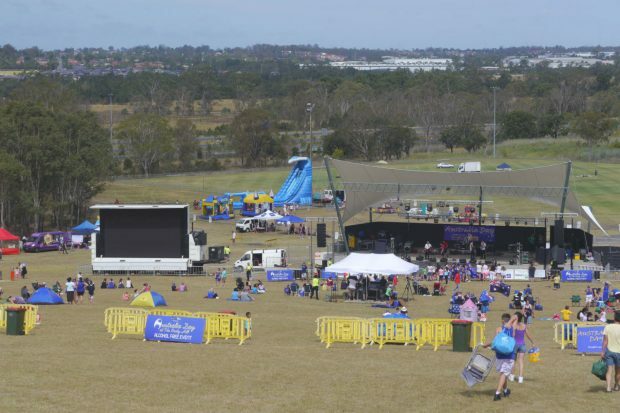 The maximum possible participants per hour are 300. 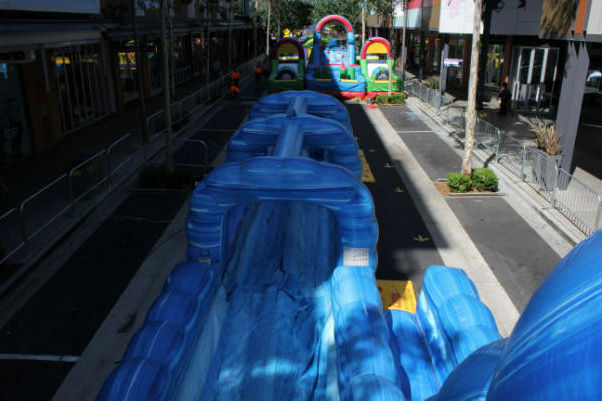 The dual lanes move fast, therefore the Screamer Water Slide can earn a lot of money if you charge per turn. 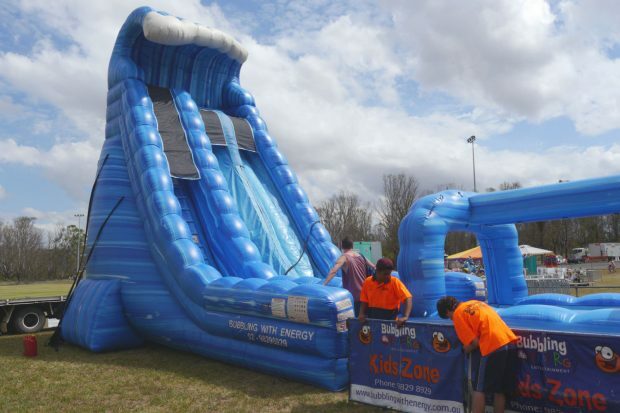 Our Screamer Water Slide is the perfect hire for large events like school events/camps, church events, fetes, fairs, festivals, council family fun days, university events, corporate events, and more. 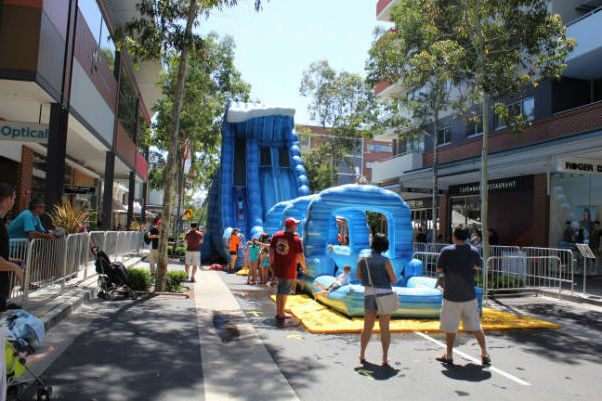 We have even hired it out for street parties with groups of families splitting cost. 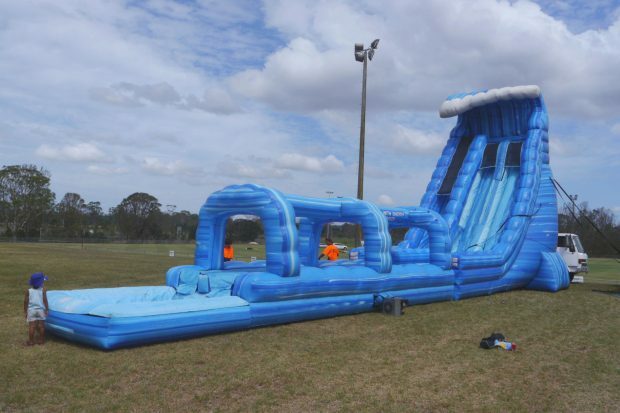 It is also an incredible addition to a corporate event, bringing out the kid in all of your colleagues while acting as a team building exercise. 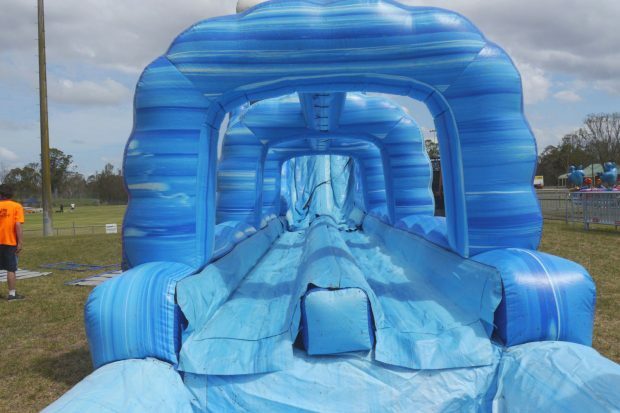 Check out our Mammoth Mountain Drop Water Slide, a replica of the Screamer and grey in colour. Not feeling the Screamer? 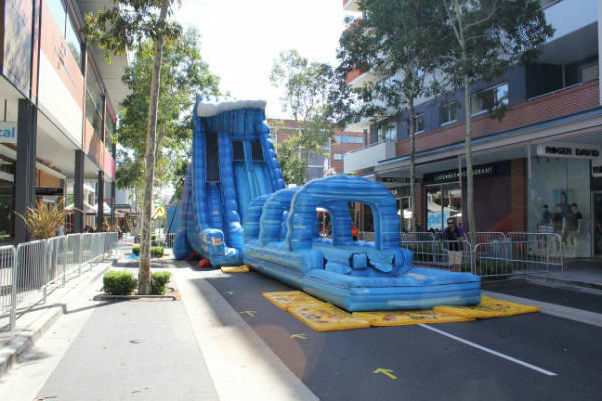 We have other wet slide options. 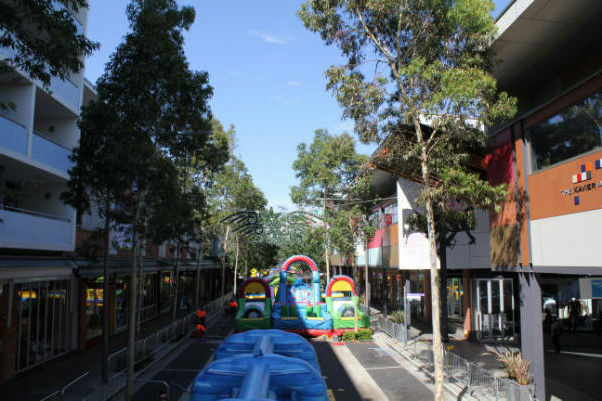 And check out our obstacle courses.